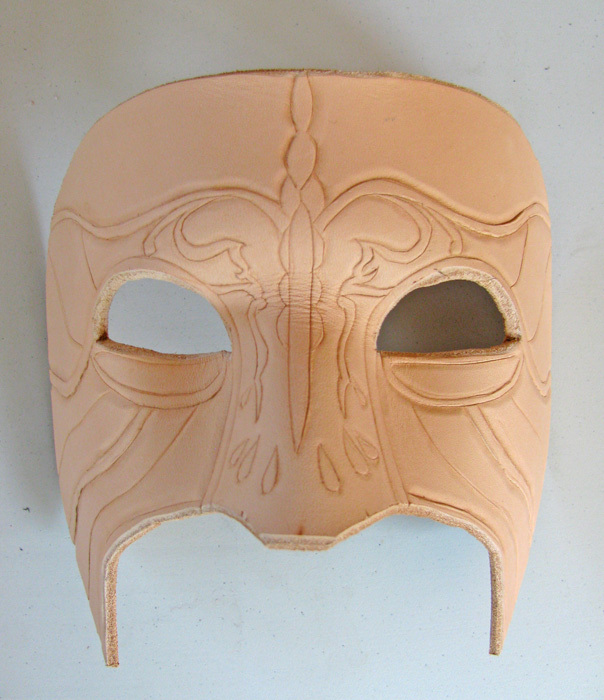 In the last part, I talked about developing the design and gathering the tools to help mold your mask. Next up, wet-forming the mask! First, you soak it in room temperature water with the rough side facing upwards. Once the bubbles have stopped fizzing out of the back, the mask is ready to put in the oven! I set my oven to its lowest heat setting (about 200F) on Bake mode. This is to keep the mask from scorching or getting too brittle, too fast, which is the danger of cooking with too high of a temperature. 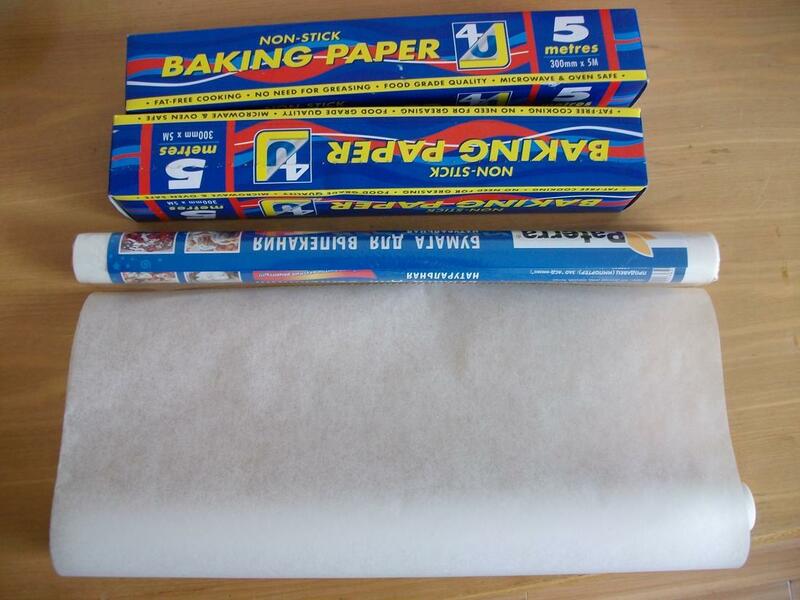 I keep the mask from touching the oven rack by lining the rack with baking parchment paper that you can buy in rolls. You can also bunch this parchment paper up and use it to prop up the mask once it has some shape to it. I let the mask bake, checking it every 5 minutes and shaping it on Pat the Styro Head. PROTIP: Don't forget to pinch the bridge of the nose where it meets the forehead or you'll end up with a very uncomfy mask that mashes your nose when you wear it! Eventually, you end up with this - a wet-formed mask! Once the mask has dried completely, you're ready to dye it! I usually let the mask dry overnight propped on Pat the Styro Head so it retains its shape before I dye it. Some people like to bake the mask until it's dry, but I find that doing so increases the risk you'll make your mask brittle and hard. 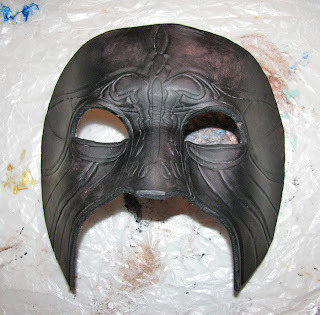 Taking the mask out of the oven before it's completely dries allows it to keep some of its flexibility, which generally makes for more comfortable masks. PROTIP: A mask needs to be supported while it dries or gravity will flatten it out. If you're in a pinch, you can use a hair dryer set to low-med to quicken the process. Don't let it get too hot, though, or you'll singe the leather! If the mask is still cold to the touch or is darker in color, that's a hint that it's still damp. with a natural sea sponge.